It’s late, and I’m clutching my whiskey glass to steady it as people bump against me. The jostling crowd is whooping encouragement to a father flinging his nine-year-old child around the room. The girl’s legs flail rhythmically, seemingly detached from her rigid upper body. She is smiling, winded but determined to finish the dance. Every so often, the girl brings a sandal down against the floorboards with a skillful thwack that adds a percussive element to the tune. At a nearby table, another family of three – a father and two teenagers – is fueling the frenzy with a banjo and an accordion and a penny whistle. Ireland is fast becoming one of Europe’s most high-tech countries, but its centuries-old musical traditions are still thriving. 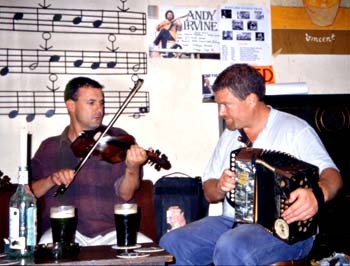 It’s Tuesday night at the Dingle Pub in Dingle, Ireland, and for a healthy percentage of this country’s youth, traditional music and dance are way cooler than MTV, or a rave, or a night squandered in online chat rooms. Cut through the hype of Riverdance – a heavily produced, meticulously orchestrated spectacle that has thrust Ireland’s music into the international spotlight recently – and you arrive at the source. Real, traditional Irish music has been evolving for centuries in much more humble surroundings – in musty pubs and cozy living rooms throughout this agrarian island nation. Ireland is one of our planet’s most musical countries. Pick any night; it’s tough to walk down the street without hearing lively jigs and reels spilling out from the pubs. Poke your head inside and you’re likely to find a seisiún or “session” – a semi-spontaneous gathering of musicians teaching each other tunes over a few pints of Guinness. Tony Small heads Dingle’s Office of Music. The centuries-old tradition started as private gatherings in people’s living rooms. Since then, sessions have become common in the pubs – on most nights and weekend afternoons. Generally, different pubs host sessions on different nights. Local musicians know where to gather, and most bartenders are happy to tell visitors where to look if their own establishment is quiet. “There’s as much listening done in a session as playing for it to be a proper session,” says John Benny Moriarty, the owner of An Connair, a Dingle Pub that hosts sessions several nights each week. The musicians are, for the most part, amateurs, though many have been playing folk music most of their lives. They aren’t paid. If they’re lucky, someone might buy them a drink. At a true session, there is no stage. Musicians commandeer a table in a corner of the pub, and often quite subtly, begin playing. On a good night, the group can build from just a couple of musicians to a dozen or more, strumming, bowing, blowing, tapping, and squeezing their way through tune after tune. Guitars, fiddles, and pennywhistles – small tin flutes – often form the backbone of the music. The pennywhistle is popular among beginners, in part because of its low price tag. From there, you’ll find a wide array of other string instruments – banjos, mandolins, and bouzoukis. The uillean pipes – a smaller version of the bagpipes – are popular. You might see an accordion. Then there’s the somewhat infamous bodhrán – a large, shallow drum that looks easy to play, but requires a special technique. “A bodhrán is not a very welcomed instrument,” says Moriarty, because it’s loud, and an unskilled player can quickly throw a tune into a tailspin. “It’s a matter of being kind of sensitive,” he says, keeping a low volume and precise rhythm. Beginners who show up with a bodhrán are quickly asked to be quiet until they have mastered the rolling wrist action, but experienced players can add an exciting, primal beat to the music. 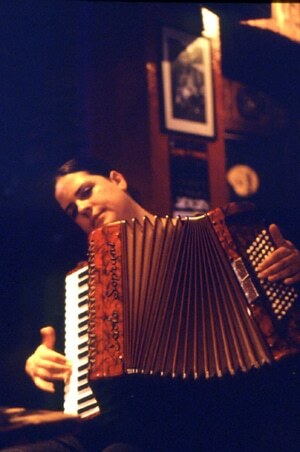 Mirella Murray and her accordion find refuge from the rain at the Róisín Dubh pub in Galway. Occasionally, you will also hear what the Irish call a “song.” A song in Ireland is a specific type of music – a solo, a cappella melody that can be sung in either English or Gaelic. Talented singers can quiet even the rowdiest of pubs with their lilting, ornamented songs about everything from unrequited love to political rebellion to getting drunk. You never know what you’ll hear on any given night. In fact, the musicians themselves often don’t know who will show up. In smaller towns though, they all know each other. Unlike a concert, where there is an audience, and performers are expected to be well polished in their delivery, session musicians play for themselves more than anyone else. Beginning and intermediate players are welcome as long as they follow a certain etiquette. There’s an all-day drizzle outside, and Murray is squeezing tunes out of her accordion with her banjo playing friend Therese Handley at Galway’s Róisín Dubh pub. A handful of patrons are nursing Sunday afternoon pints. Murray and Handley seem not to notice their passive audience. 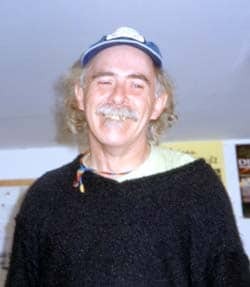 While there are plenty of teachers for serious musicians, Murray explains many people learn their instruments simply by hanging out at sessions. “Once you become interested in music and you hear a nice tune, you pick them up like that,” she says. Galway is a small city and lively college town known for its music. Taaffe’s Pub is touristy but central and lively. 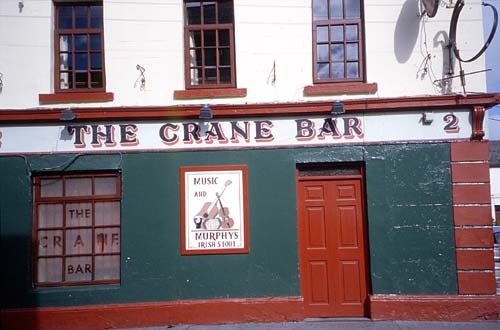 The Crane, a short walk from the town center, is more authentic, with sessions most nights. Dingle, once a lazy backwater port, gets lots of tourists now, but it also hosts one of Ireland’s best music scenes. 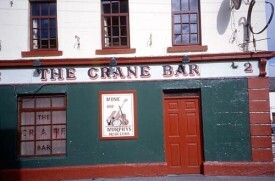 An Connair and the Old Bridge Pub are both known for their sessions. According to Small, sessions are a great starting point for anyone interested in learning Irish music. Experienced musicians, he says, are generally happy to chat with newcomers. The tradition of passing tunes among friends and family, learning and teaching music in these intimate and informal surroundings, is important to Small. He worries about the effect the internationally trendy Riverdance show is having on the music. “The musicians [in Riverdance] are getting paid,” notes Handley. “I think it’s about time,” Murray adds. Whether Riverdance is a curse or a blessing, there’s no question that in this age of globalization, the Internet, and lightning-fast international communication, Ireland’s folk music is hanging on in its purist forms. “The fact that we’re an island probably has a lot to do with it,” Murray says.